As the largest city in Texas, with a history that dates back to the 1830s, Houston is home to a great many things, including a few legends and haunted historical locations. In honor of October and the upcoming Halloween holiday, we are sharing a few of these fables from the greater Houston area with you. The Newport subdivision located outside of Houston was supposedly built on top of a graveyard. One family claims that disturbed spirits haunted them. Read more about this legend here. Founders Memorial Cemetery is the oldest cemetery in Houston, Texas. Many people are buried in this cemetery including over 800 cholera victims and famous Texans like: John Kirby Allen, a Houston co-founder, Rebecca Lamar, the mother of second President of the Republic of Texas, and James Collinsworth and John W. Moore, signers of the Texas Declaration of Independence. More information about the Founders Memorial Cemetery can be found here. 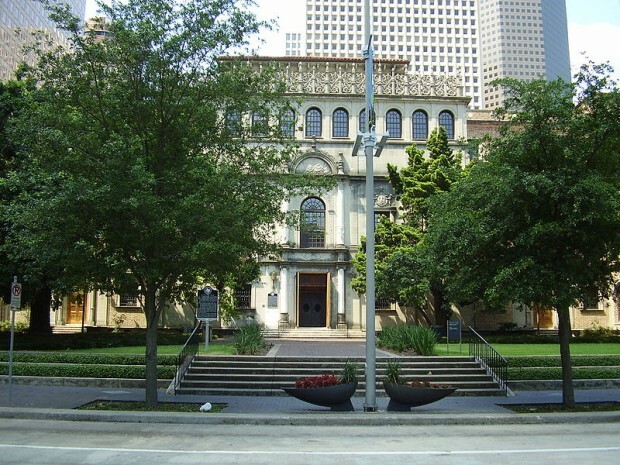 A wing of the Houston Public Library, the Julia Ideson building is rumored to be haunted by the ghost of Jacob Frank Cramer, who served as a night watchmen, gardner and handyman. He played the violin during his off hours in his basement quarters in the library. Some claim to have heard the sounds of a violin, while others have heard the sounds of a dog’s toenails clicking on the floor as Cramer’s dog, Petey, did as he followed Cramer on his rounds. Find out more about this legendhere. La Carafe is currently a bar, but it was originally a bakery and pony-express station. The building, built in 1850, is listed on the National Register for Historic Places. The staff encourage the ghost stories, perhaps for entertainment and to attract customers, or because they are true…Read more and decide for yourself here. There is enough legend, lore, history and creepy happenings at the Jefferson Davis Hospital to fill a few tomes, but we will let you read about the former hospital here. Do you believe any of these Houston locations are haunted?